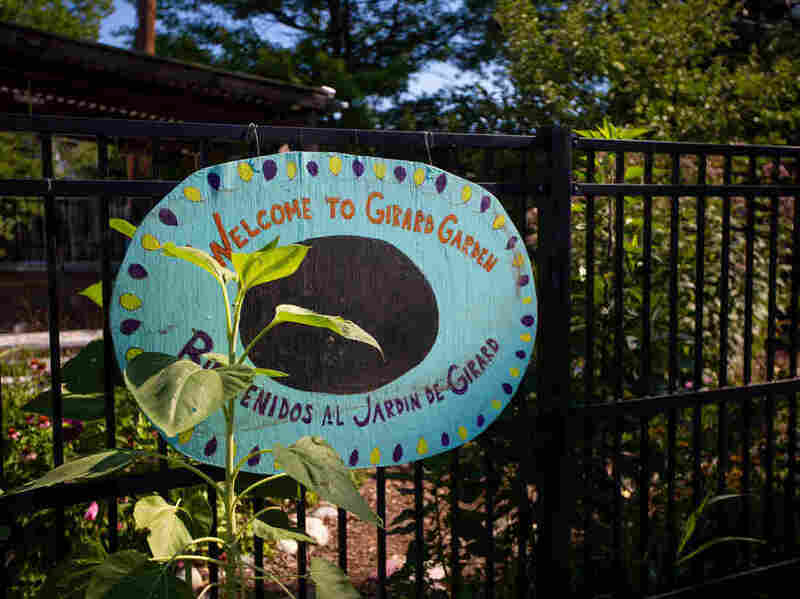 Urban Green Spaces And Gardens Linked To Improved Mood : Shots - Health News When researchers cleaned up vacant lots and planted grass and trees in poor neighborhoods in Philadelphia, residents' mental health improved. 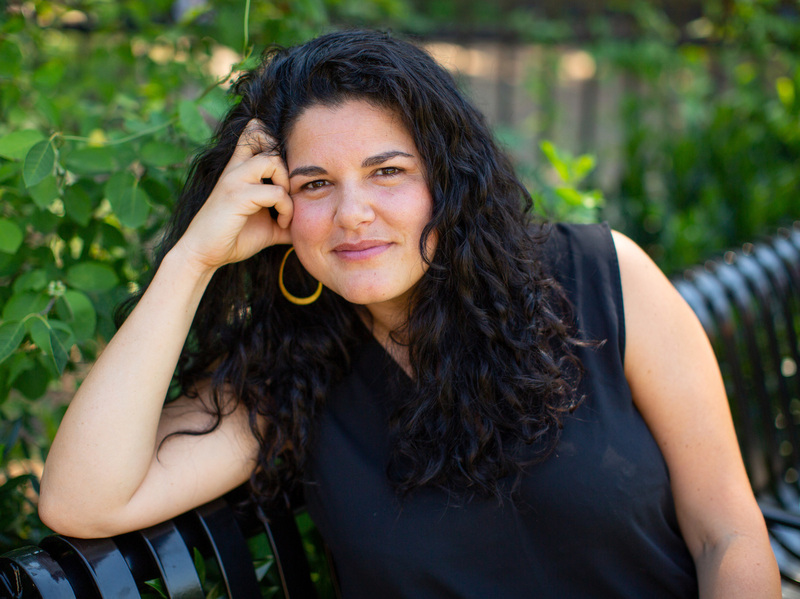 Growing up in Washington, D.C.'s Columbia Heights neighborhood, Rebecca Lemos-Otero says her first experience with nature came in her late teens when her mother started a community garden. "I was really surprised and quickly fell in love," she recalls. The garden was peaceful, and a "respite" from the neighborhood, which had high crime rates, abandoned lots and buildings, she says. 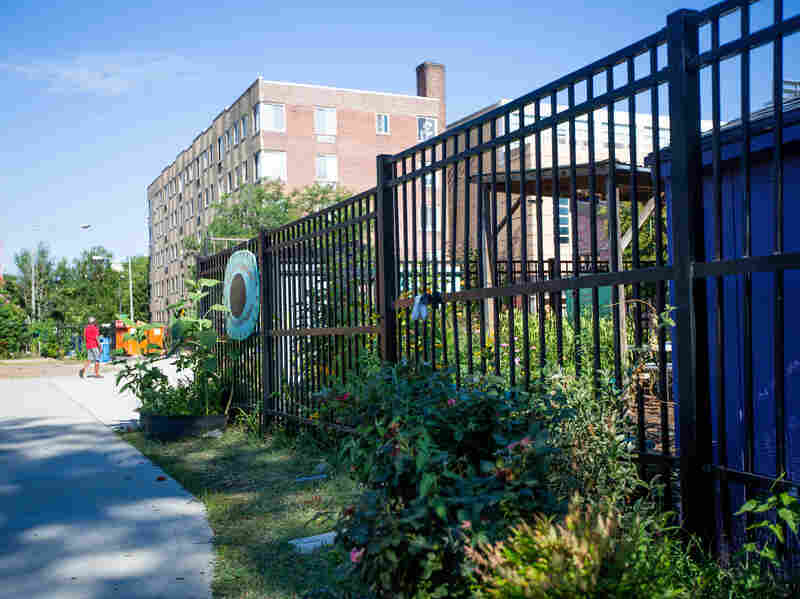 Inspired by that experience, years later, Lemos-Otero, 39, started City Blossoms, a local nonprofit that has about 15 children-focused community green spaces across Washington, D.C. She wanted to give kids from minority and low-income communities easy access to some greenery. Kids love the gardens, she says. It gives them a way to briefly forget their worries. "Having access to a bit of nature, having a tree to read under, or, having a safe space like one of our gardens, definitely makes a huge difference on their stress levels," says Lemos-Otero. "The feedback that we've gotten from a lot of young people is that it makes them feel a little lighter." Now a group of researchers from Philadelphia has published research that supports her experience. The study, published Friday in JAMA Network Open, found that having access to even small green spaces can reduce symptoms of depression for people who live near them, especially in low-income neighborhoods. "To my knowledge, this is the first intervention to test — like you would in a drug trial — by randomly allocating a treatment to see what you see," adds Morello-Frosch. Most previous studies to look into this have been mostly observational. Philadelphia was a good laboratory for exploring the impact of green space on mental health because it has many abandoned buildings and vacant lots, often cluttered with trash, says Eugenia South, an assistant professor at the Perelman School of Medicine at the University of Pennsylvania and an author of the study. "There's probably over 40,000 of them in the city, but they're concentrated in certain sections of the city," she says. "And those areas tend to be poorer neighborhoods." Rebecca Lemos-Otero is the executive director of City Blossoms, the local organization that has started community gardens and green spaces across the city to give children from communities of color easy access to nature. South and her colleagues wanted to see if the simple task of cleaning and greening these empty lots could have an impact on residents' mental health and well-being. So, they randomly selected 541 vacant lots and divided them into three groups. The impact was strongest for residents of poorer neighborhoods — they showed at least a 27.5 percent reduction in the prevalence of depression. "It's very much in line with a lot of research in this area," says Mike Rogerson, a professor at the University of Essex in the United Kingdom, who wasn't involved in the new study. 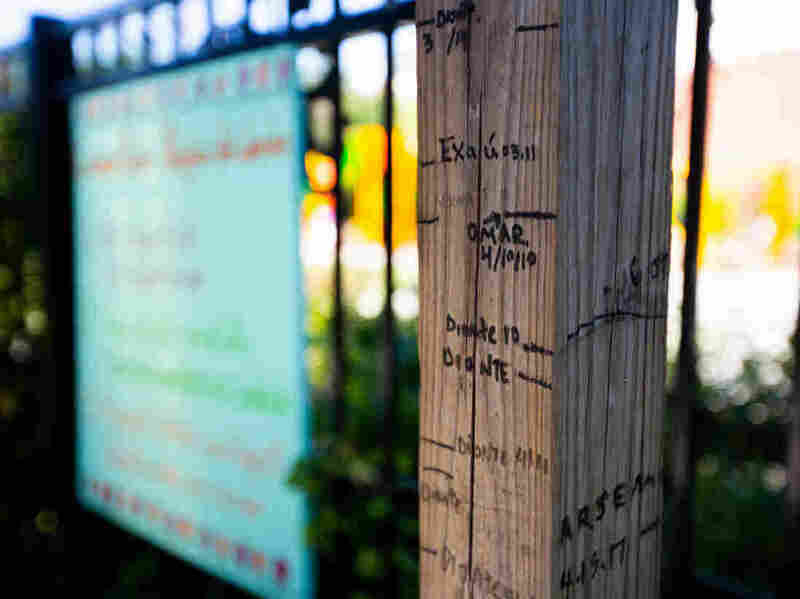 Rogerson, who works on the physical and mental health impacts of green spaces and activities in outdoor spaces, says studies show that green spaces are "equigenic," or equalizers of socioeconomic disparities in health. People from lower socioeconomic backgrounds tend to have worse mental and physical health outcomes. But when exposed to green spaces, "people who start out worse have more improvement," says Rogerson. "It's a leveler across society." There could be several mechanisms at play here, he says, including a biological effect of exposure to nature. "Our bodies physically respond well to environment and nature because of our species' historical past," says Rogerson. South's own previous work demonstrates this, at least for one measure of acute stress — heart rate. Using a similar experiment as this new study, she monitored the heart rate of residents walking past the vacant lots before and after the greening experiment. 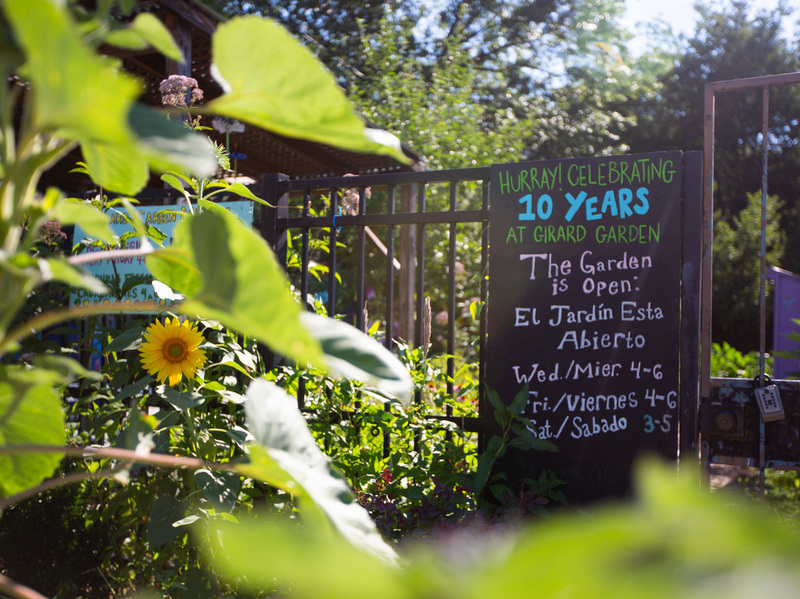 Girard Children's Community Garden will be celebrating 10 years this year. The garden signs are in both English and Spanish to welcome Spanish-speaking kids. "In the areas that had been greened I found that people had reduced heart rates when they walked past those spaces," she says. She and her colleagues have also shown that the greening experiment reduces crime, which might make residents feel safer, and feeling safer in your own neighborhood might also explain in part the improvement in mental health. And Rogerson's earlier research has shown that when people exercise outdoors, they're more likely to interact with each other for longer. And social cohesion is known to improve mental health and well being. The new study found that the greening intervention in Philadelphia cost as little as $1,600 and an additional $180 per year per lot for maintenance. "Vacant lot greening is a very simple, low cost improvement to neighborhoods that can improve mental health," says South. Morello-Frosch agrees. "It's a piece of low-hanging fruit," when it comes to improving the mental health in poor communities, she says.